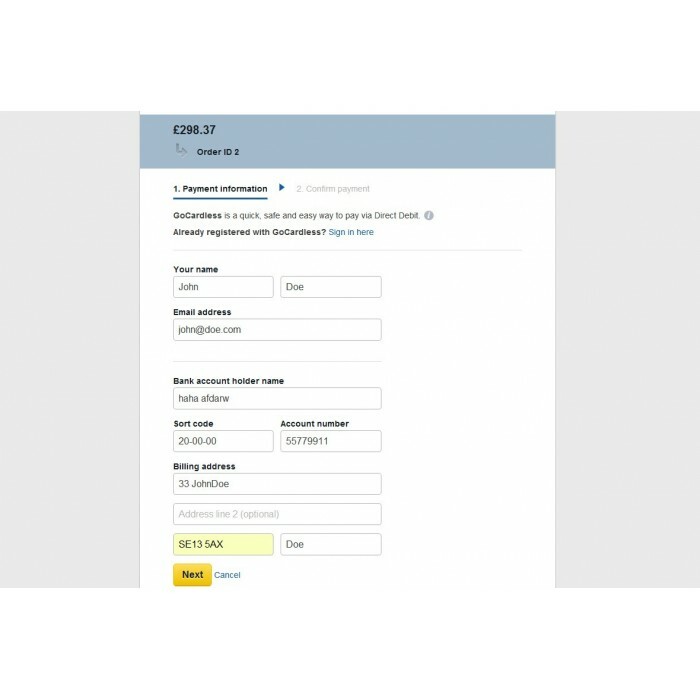 This module allows you to use GoCardless service as checkout for your customers. GoCardless payment is simple, fast and cheap and facilitates payments straight from bank account (no card required). GoCardless charges only 1% from each payment. With minimum of 10p and maximum of £2.00 (i.e., you will never pay more than £2.00 in fees for a transaction) No registration fee, no monthly fee, no monthly minimum. Straight and simple. And cheap. Payments are fully traceable in huge details in GoCardless Merchant Office. It costs only £34.99 in this special introductionary offer! Easily links with GoCardless merchant service in one simple step. After setup no more administration required. Just sit back and watch it works. 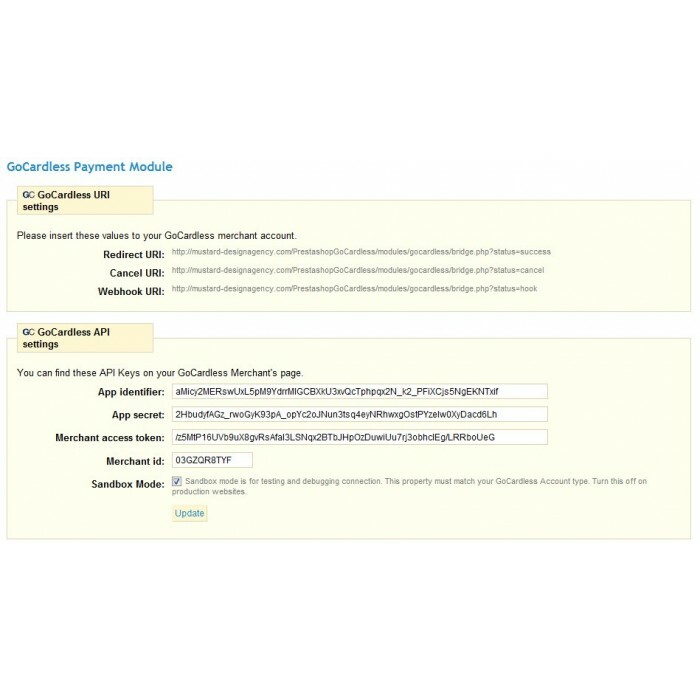 Module supports sandbox environment for testing the payments before going live. Displays details about GoCardless orders on Prestashop order details page. GoCardless Payment Module was developed independently by London based Mustard Design Agency to provide simple but fully-featured payment gateway for PrestaShop. Payments are simple and fast - done in less than 30 seconds. Payments are processed straight from customer’s bank account via Direct Debit. No credit card required. 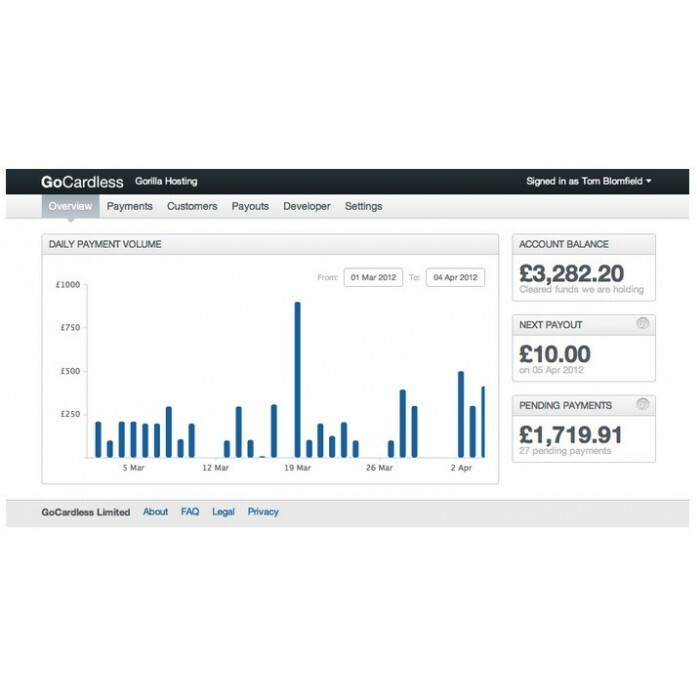 GoCardless automatically creates an account for customer after first payment so recurring payments are done even faster! GoCardless service is currently available only in UK.